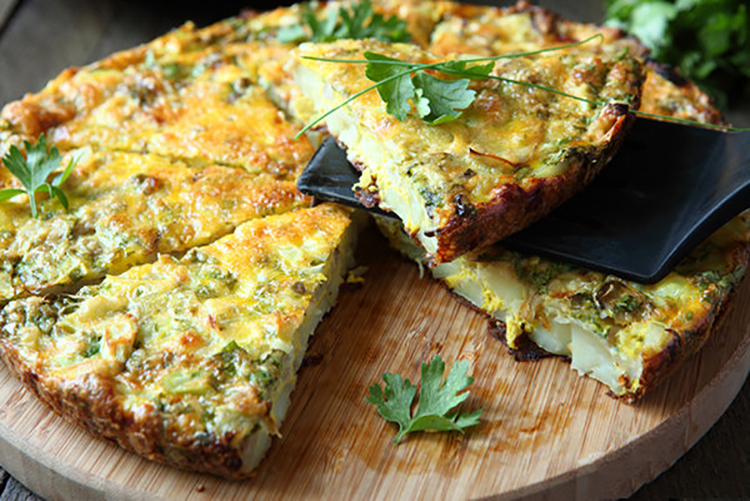 This wonderful Quiche is perfect for pairing with a Sauvignon Blanc on summer evenings. It also makes for a great lunch! Combine all ingredients in a medium mixing bowl and pour into a quiche pan or 9-inch glass pie plate. Bake at 350° for approximately 45 minutes or until filling is set. Be sure to remove the tough, woody stems from the bottom of the asparagus before adding the sliced tips and spears. Onions and tomatoes can add a lot of flavor to a quiche. Other veggies that will work in this quiche are chopped broccoli florets (very small pieces), chopped zucchini, well dried canned chopped artichoke hearts, bell peppers, or cooked and drained spinach. Shredded part-skim mozzarella can be used instead of the feta cheese, if preferred.